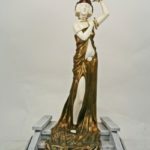 SKU: 248. 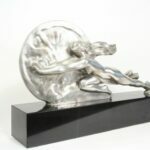 Category: Antiques, Art Deco, Sculpture, Sculpture. 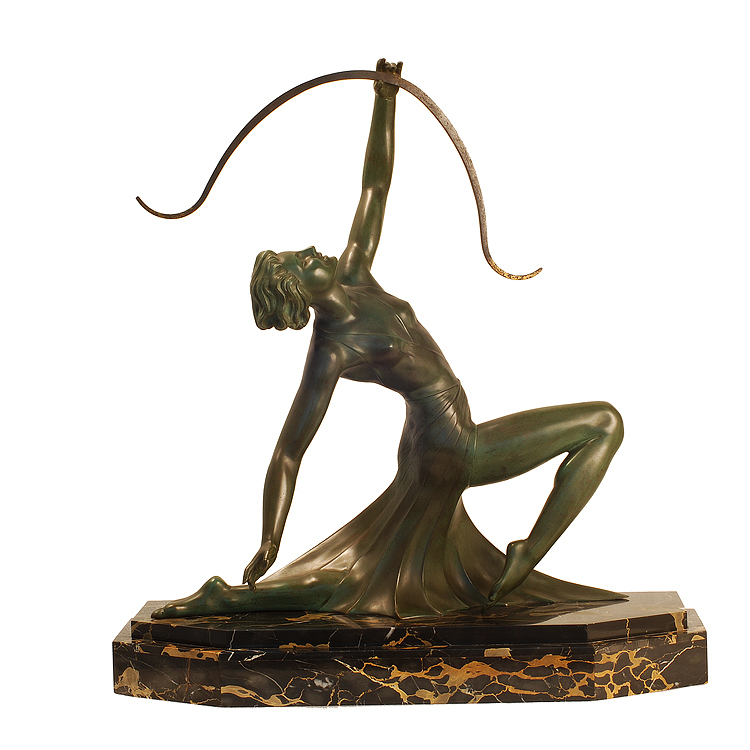 Tags: 1stdibs, antique statue, art deco diana, art deco statue, BRONZE VERITABLE, diana the archer, Editions Reveyrolis Paris, french deco, g. daverny, italian marble, lost wax bronze, portoro marble. Antique Art Deco Statue of Diana the Archer by D. Daverny. 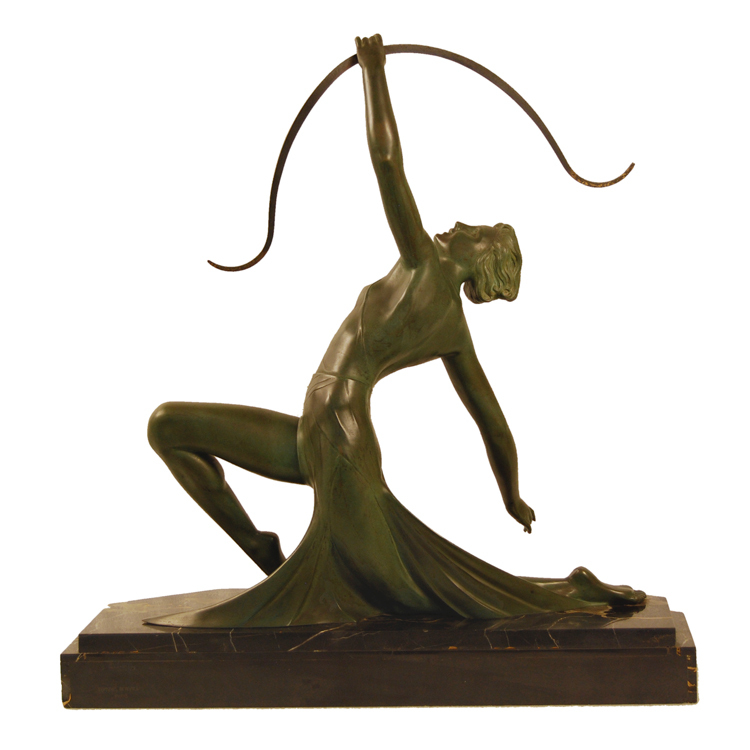 Sculpture Depicts an Elegantly Kneeling Female Huntress with: Draped-Formfitting Dress, Classic Flapper Hair Styling and Bow in Hand Aiming Over Her Head. 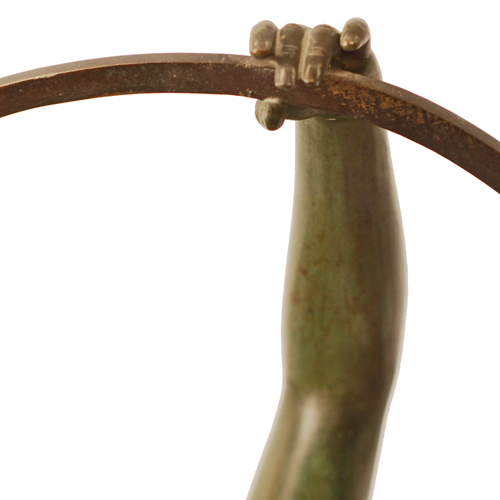 This Piece is Large – Done in a Heavy Lost Wax Bronze Casting. 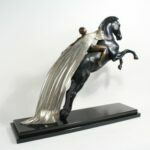 Bronze Sculpture Finished in Traditional Dark Green Patina. 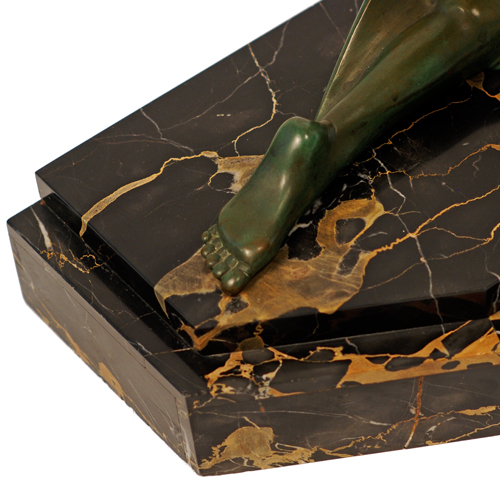 Tiered Marble Base Made of Italian Portoro (Black & Gold) Marble. 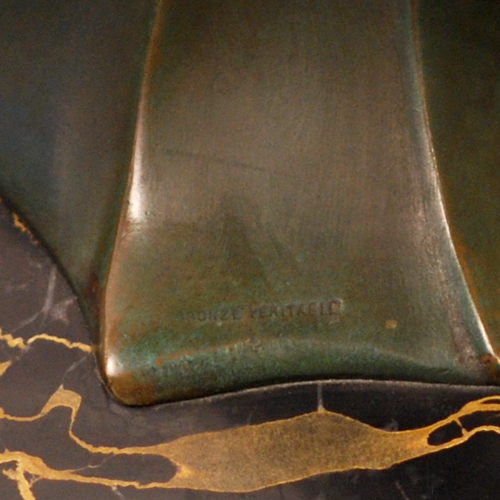 Stamped “BRONZE VERITABLE” (“Real Bronze“) on the Bronze. 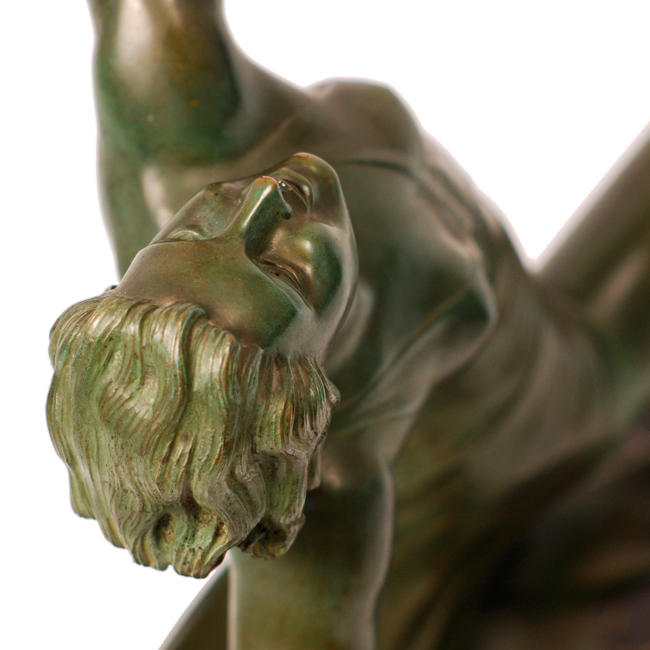 Handwritten Style Signature “G. 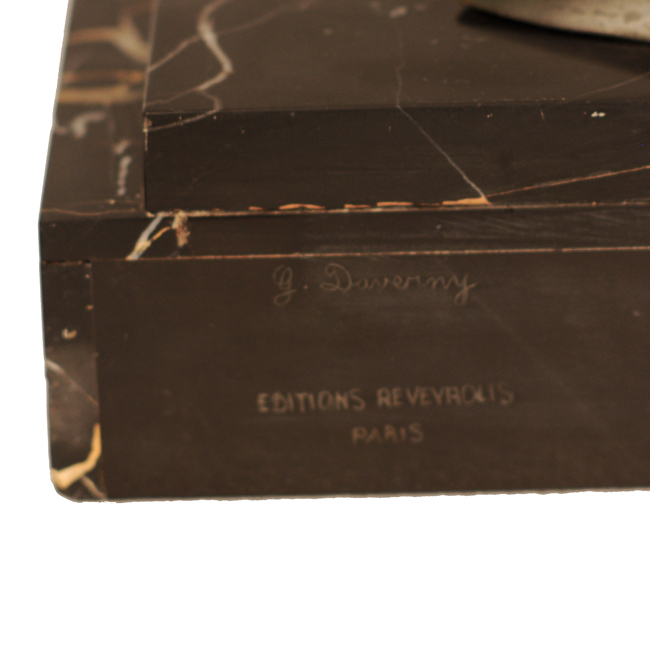 Daverny” and “Editions Reveyrolis Paris” Stamped on the Marble Base. 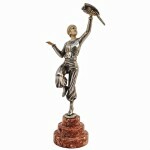 France Circa 1930.